Ich bin gerade dabei, einen Import-Filter für #net2o zu basteln, mit dem man seine Daten aus Google+, Facebook, Twitter und blogger.com abziehen kann. Meine Design-Entscheidung für #net2o ist, dass strukturierter Text-Input in #Markdown vorliegt, und damit dürfte dabei auch etwas 'rauskommen, was für Diaspora als Importer taugt. Denn Diaspora nimmt ja auch Markdown. 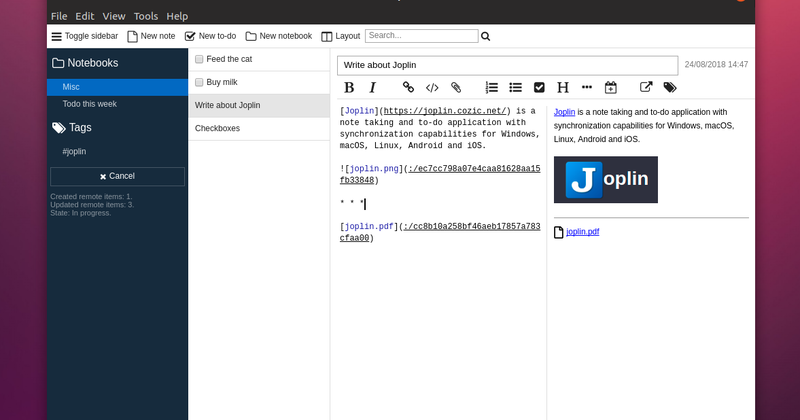 Joplin is a free and open source note taking and to-do application available for Linux, Windows, macOS, Android and iOS. Its key features include end-to-end encryption, Markdown support for notes, and synchronization via third-party services like NextCloud, Dropbox, OneDrive or WebDAV. I wonder out loud "does #Markdown provide for #centered-text?" There is no reply. Remember/find #Laurie-Anderson. This will help with the humour/timing of this art/prose. Here they come. There they go. Are you ready for the Deep Magic? We are easily led astray. There is only what we choose to follow. is it #God the #Creator? perhaps those who recognize #Emmanuel, God among us; #Jesus? We live temporarily in this #physical-reality; we all agree on that, except perhaps sociopaths. we would have no choice. And, contend that, free-or-slave rich-or-poor jew-or-goy theist-or-atheist straight-or-gay ad naseum - - - we all have choice. ¿ o queréis hoy doble dosis y que lo publique hoy mismo también? Hell yes! Markor is my go-to note taking app, the best #FOSS #markdown editor for #android. 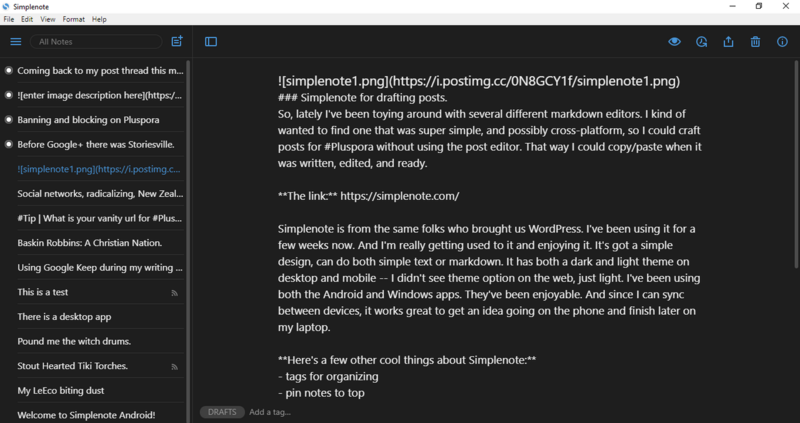 To be honest, I don't use the other features of the app (linkbox, to-do.txt, quicknote), but for quick, simple notes it hits my sweet spot. We have already dropped maintenance. marp-team is working about full-rewritten Marp! Our projects are modern, maintainable, and usable in various situations. 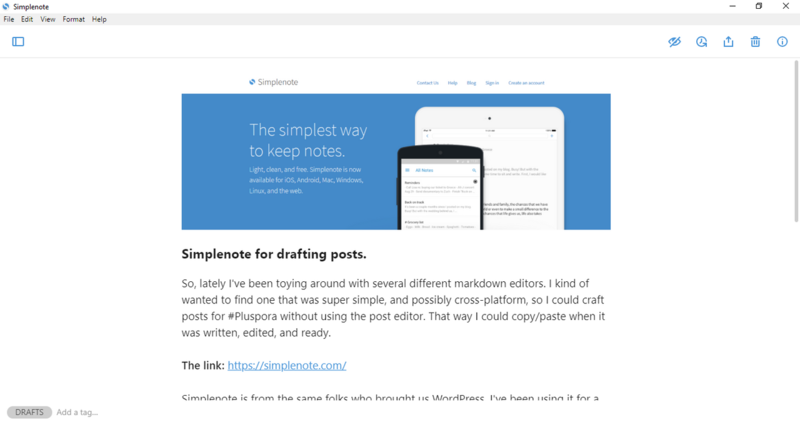 Currently most of these are not ready to use, but we progress step-by-step to realize better presentation writing by the plain Markdown. Don’t miss it! 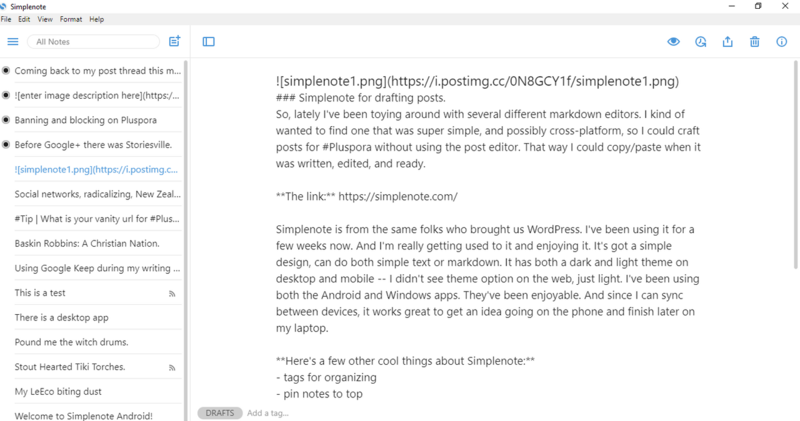 Marp is the simplest presentation writer with Markdown. * Supports rendering emoji, math, and background image. * Export slides as PDF! Marp is powered by Electron. You want pagination? Insert at the top. If you want to exclude the first page number, move the directive to after the first ruler. # First page The page number 1 is not shown. # Second page The page number 2 is shown! You can resize slides with the Global Directive $size. Insert if you want to display slides on 16:9 screen. That’s all! $size directive supports 4:3, 16:9, A0-A8, B0-B8 and the -portrait suffix. Marp also supports $width and $height directives to set a custom size. You want an example? Have a look at example.md. May I ask what toolchain you use to write books? I might have to write a longer text and I'm considering to try something new. I'm used to #Asciidoc / #Docbook and #Latex (and I usually use #Markdown for shorter texts). I can even use #Troff but I don't like it much. So I wonder what a professional writer uses. 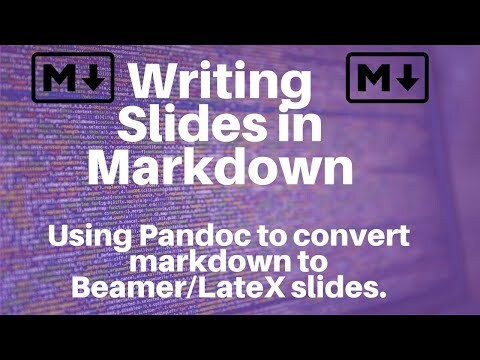 Just found out about Academic #Markdown, which works with #Pandoc as detailed here: https://www.chriskrycho.com/2015/academic-markdown-and-citations.html - works with #Pelican too! This is the route I'll be testing now, and keep the given infrastructure. The formatting conventions on Diaspora and other Federation/Fediverse platforms is Markdown, what's called a lightweight markup language. There are several others, including AsciiDoc, which heavily inspired the markup used at Google+. To: not only each of these, but various HTML formats, word processor formats, ebook formats, documentation, archival, page-laoyout, outline TeX, PDF, and others. I've been working on a documentation project for which I use Pandoc and a Makefile to publish to numerous formats with a single command. Make itself is a tool designed originally for programmers to convert source code to runnable software, but it has all kinds of uses in numerous projects, given its ability to run specific recipes based on goals and dependencies. When I've discussed my various future plans for online publishing, Pandoc, or tools based on, using, or closely resembling it, are very much what I have in mind as part of my core toolkit. Pandoc has been the single most useful Linux tool I've discovered in the past five years, if not ten. Would it be worthwhile in the opinion of the fediverse to write an entire book in #Markdown so that it would be easier to turn it into an #ePub? or #Mobi?